The first Super Sport vehicle made by Chevrolet was the 1961 Impala SS. Various models have followed, and the Super Sport package is still one that is offered on many vehicles. Camaros, Chevelles, Novas, Monte Carlos and El Caminos have born the SS badge, along with several Chevy trucks, four-door sedans and other front-wheel drive cars. There are several ways to determine if your vehicle is a real SS, but you must be careful in your identification because a large number of clones exist. Check for the SS package. Super Sport models usually include a bigger motor, special interior and exterior trim package, stronger suspension system, performance braking system, chassis reinforcements and specialty wheels and tires. Each Super Sport model bears the SS badge both on the outside and on the inside of the vehicle on the dash. Often, Super Sport packages include a specialty tachometer or other differentiating gauges. Look for the number on the engine. 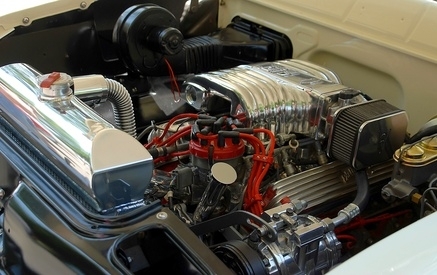 Depending on your vehicle model, certain engines are used for the SS package. 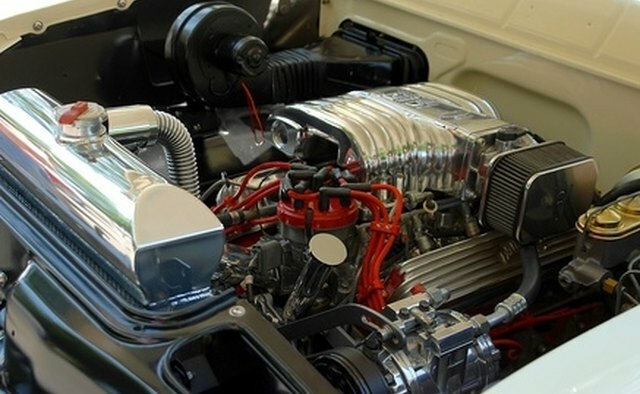 In muscle cars, a big-block engine was always used. Check with your local Chevrolet parts dealer to determine what the original SS engine is for your model and year. This may be misleading, however, as your vehicle may not have its original engines in it. Run the Vehicle Identification Number. VINs tell a lot about a vehicle, including its make, year, model, original engine, plant where it was made and other package features. Several VIN look-up websites can provide you information about your car's original history for free. Find the trim tag on the interior of the driver side door. These tags indicate information about the original trim package the vehicle would have had in it. Look under the back seat for the build sheet. The build sheet gives information about the car's original status straight from the factory. It is rare to find a build sheet for antique cars still in place, but it's possible. It is very difficult to determine if a vehicle is a true SS with so many aftermarket options available to customize a car.